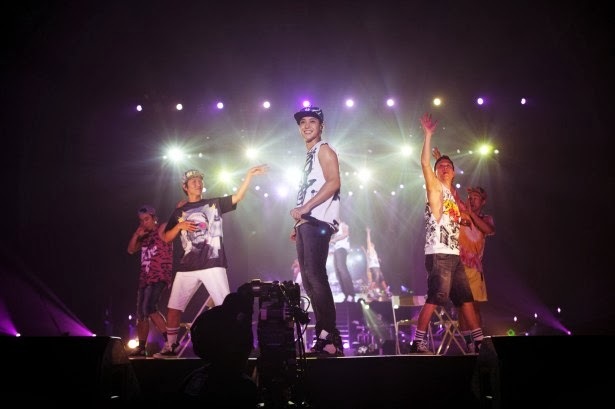 Korean singer/actor Kim Hyun-joong has wrapped up an exclusive concert in Chiba, Japan with success. Kim shared good times with some 20,000 fans during his exclusive concert “KIM HYUN JOONG Premium Live-TONIGHT,” held at Chiba Makuhari International Exhibition Hall in Japan the night before and last night, KEYEAST said on Tuesday. While showing vigorous performances, Kim didn’t forget to keep connect with fans throughout the three-hour long shows, KEYEAST explained. In the meantime, Kim proved his status as top Hallyu star by scooping up the grand prize as the top male solo artist at Korean Entertainment 10th Anniversary Awards in Japan last Saturday.